The collaboration between a rapper/beatboxer/singer-songwriter from Syracuse, NY and an electrifying African kora sensation from Guinea pushes genre boundaries and earns raves. 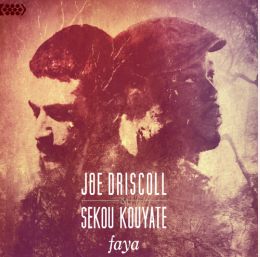 Driscoll and Kouyate blend hip-hop, spoken word, funk, and soulful, accessible rock with Afrobeat, reggae and irrepressible African grooves. Faya is available now On Cumbancha Discovery.